With over 14 years experience in the trade, at Hi Flow Plumbing we pride ourselves in exceptional service and knowledge of plumbing needs. 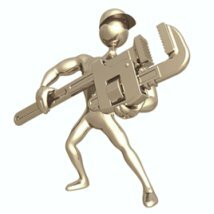 We specialise in ALL property maintenance. When you call the Hi Flow Plumbing team you can be assured of a job well done by professionals who understand your needs and deliver on their promise. We arrive on time and keep you fully informed of progress at all times. We provide a full Plumbing, Gas-fitting and drainage service.